It is the largest refugee crisis in the Americas. Three million Venezuelans, or roughly ten percent of Venezuela’s population, have fled the country. Most of these refugees have fled to neighboring Colombia and Brazil, but Venezuelan refugees can be found just about everywhere now in South America. Most live in the slums and poorest communities in South America’s major cities where these refugees eke out a bare living. As more refugees flee Venezuela, the government programs and resettlement efforts of many South American government are being stretched to the limit. Overall, most government in South America are trying to accommodate the Venezuelan refugees—with the exception of Bolivia. According to Amnesty International, Bolivian police and immigration officers attacked and arrested 14 Venezuelan refugees in a shelter in La Paz, Bolivia’s capital. They were beaten and interrogated and held in prison without benefit of a lawyer or trial. Eleven of these refugees were deported to the border with Peru, and the rest fled Bolivia because they feared for their lives. This follows a pattern of threats and persecution against Venezuelans trying to seek refuge in Bolivia. The Bolivian government quite simply does not want Venezuelans to enter or stay in the country. This should come as no shock. Evo Morales, the current ruler of Bolivia, is himself a socialist dictator like his counter-part in Venezuela Nicolas Maduro, and Morales rules Bolivia with an iron fist. The Bolivian government recognizes Maduro, and has sent Maduro material aid as well as works with the Cuban government in trying to prop up the socialist government of Maduro. Given this, it is not surprising that the Bolivian government is working against those Venezuelans who were forced to flee Venezuela. The Bolivian government sees these refugees as “traitors” and a “threat” to the socialist Venezuelan government. Morales is trying to turn Bolivia into a “socialist paradise” and cannot tolerate anyone who would say otherwise. 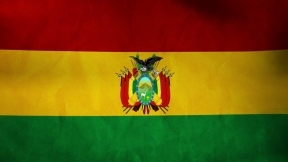 The thing is, since Bolivia is not part of the solution, it is therefore part of the problem. Bolivia is part of an unholy alliance along with Cuba, Russia and China to keep the socialist government in Venezuela alive, and therefore millions more Venezuelans will be forced to flee their country. Simply put, Bolivia is helping to make the refugee crisis worse for all of South America.